Made from a Thailand-indigenous tree, Kratom has been eaten and chewed for centuries. Recently, the U.S. Drug Enforcement Agency has considered kratom to be a drug of concern. The herb has additionally been extracted multiple times, creating a synthetic extract for consumption. Often used by individuals to “wean” themselves off of prescription painkillers, kratom is dangerously addictive, dangerous and even life-threatening. Potpourri, spice, and K2 are among the world’s deadliest synthetics today. Modern hospitals, in fact, have reported a rise in synthetic cannabinoid use. Symptoms of synthetic cannabinoid use include vomiting, seizures, hallucinations, increased anxiety, hallucinations and even death. Not to be confused with cannabis, synthetic cannabinoids are filled with harsh toxins and over 120 different, non-FDA-approved chemicals. For this reason, drug addiction treatment centers have been on the watch for new mixtures hitting the streets. A synthetic, refined version of Ecstasy, Molly is allegedly safer than the highly popular drug. That said, Molly has recently been targeted by the Drug Enforcement Agency due to its incredible dangers. Listed as a Schedule 1 controlled substance, Molly may cause consumers to become confused, overheated and dehydrated. These side effects, when extreme, can potentially cause brain damage. During the Washington State music festival of 2013, the DEA reported 125 hospitalizations due to the drug. Highly popular in college towns, Molly is quickly catching on due to its low cost. Molly will likely garner higher attention in the near future, as its deadly aspects are far from ignored. Also referred to as “bath salts,” synthetic cathinones are related, chemically, to the khat plant stimulant. Khat, itself, is an East African shrub. In the past, individuals consumed it for its mild stimulation. Synthetic cathinones, however, are considered to be part of the “new psychoactive substances” wave. Mind-altering, highly addictive and marketed as cheap substitutes for methamphetamine, synthetic cathinones often carry the following titles: Bloom, Flakka, Lunar Wave, Cloud Nine, White Lightning, Vanilla Sky and Scarface. Synthetic drugs are widely regarded as dangerous. Sadly, many individuals acquire, use and abuse these substances due to overarching low costs, accessibility and ease of consumption. For this reason, it’s incredibly important to understand their existence. The drugs mentioned above, while not the only synthetic substances available, have become incredibly popular in recent years. 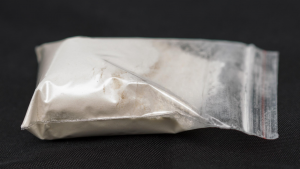 The world of underground drug acquisition is constantly changing, but understanding the prevalence of today’s dangerous, widely used synthetics helps experts understand and treat those suffering from addiction.